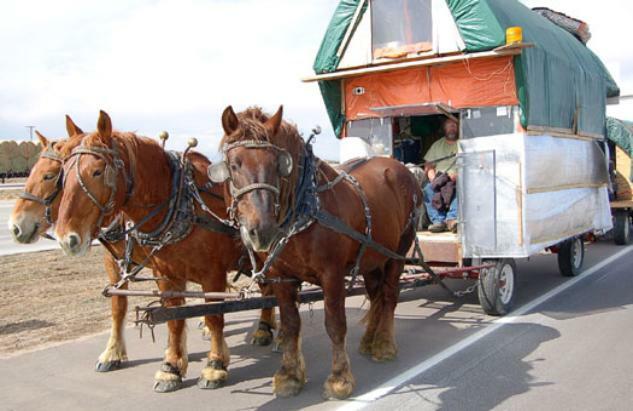 I am a teamster traveling America with a team of good horses pulling my home, a sheepherder's wagon with all the amenities. I want to show people how to slow down and really see and experience life at a slower pace. I live very simply and meet a bunch of good and kind folks along the way. I have been amazed and delighted at the kindness of people and have made alot of friends along the way. If you see me along the road, give a wave!